← Will you donate just £1 for my birthday? There is often debate about how much contact charities should be making with donors. In a recent blog by Jeff Brooks he highlights that there is no proof that increased contact leads to donor attrition. He notes that too little contact could be detrimental to your fundraising, but the worst thing of all is being irrelevant. Charities need to focus on the donor. It’s all about the charity providing the donor with the opportunity to change the world and feel valued in a way that is relevant to them. From the style of the copy, to the key message, to the choice of images, to the channel of communication, it’s all about them. My question is; can we compare our fundraising communications to other sectors, for example clothes retail, restaurants or mobile phone providers? I think we can. A couple of weeks ago I was doing some work with the direct mail fundraising team; considering how we make our donors feel special, important and loved. We did some work reflecting on our own experiences and considered what organisations (if any!) had made us feel valued or special lately. We came up with a good list that included, Eagle Cabs, a dentist, Bupa and Virgin (?). My example was Boden, which I will share with you here. 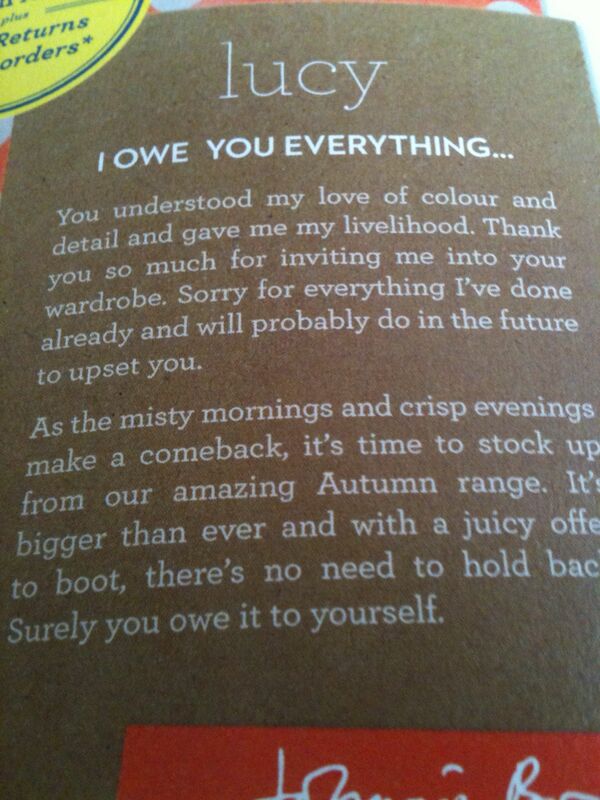 Johnnie Boden has been writing to me for a few years now. I don’t remember asking him, or when he first embarked on his correspondence with me, but he writes to me a lot. In fact I get more post from Johnnie Boden than anyone else. I have to say his overly friendly chirpy marketing copy does grate on my nerves a bit. 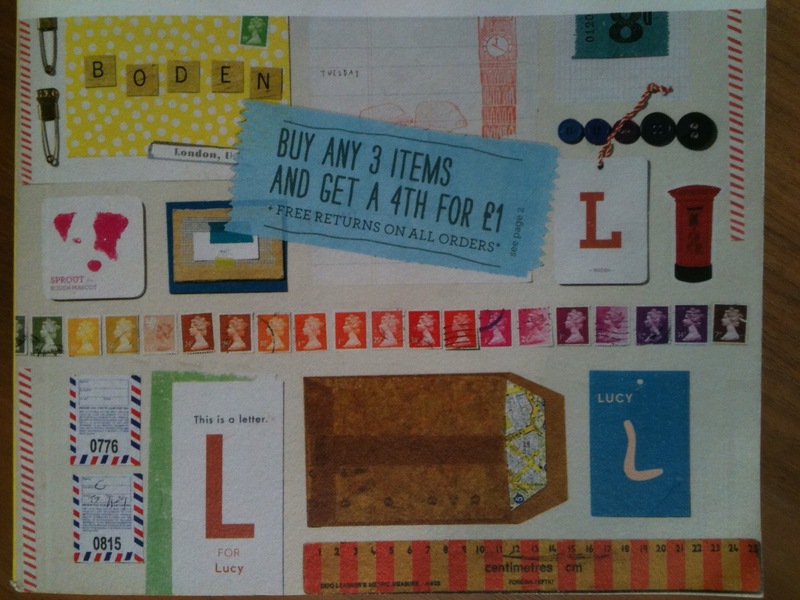 However, somewhat ashamedly I admit, I am a Boden customer. The reason this example was so relevant to the question about communication being all about the donor is that Johnnie Bodens latest autumn catalogue was all about me. The centre text reads, ‘I owe Lucy everything’ as well as other references to ‘Lucy’. I think this is brilliant. There were even personalised stickers so I could mark what I wanted. 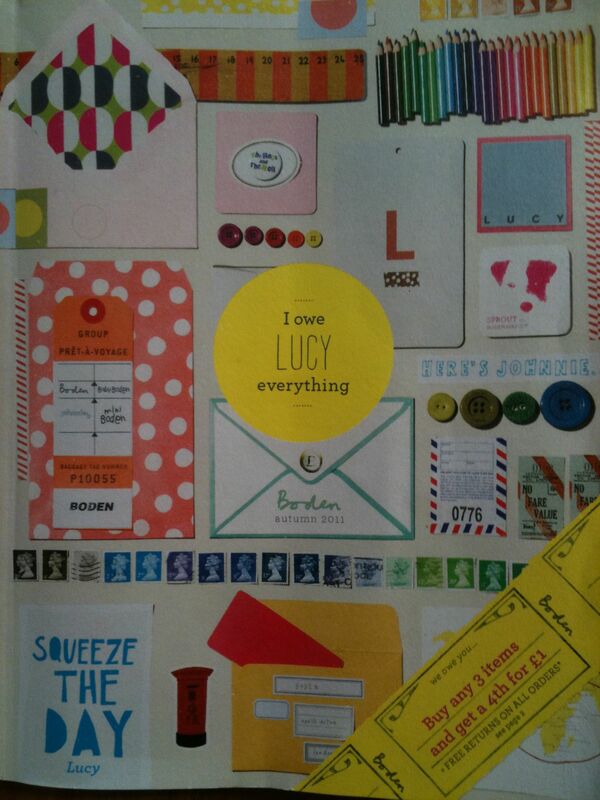 But while I’m on the topic, it’s not just the personalised catalogue that makes Boden stand out. Johnnie Bodens customer service is excellent too. A few months ago I complained about a scarf because all the bobbles fell off it. I emailed customer service and I received a real email back from a real person the same day. They sent me a new scarf and a freepost envelope to return the bobbleless one in. All within a couple of days. Impressive. So what can fundraisers learn from Johnnie Boden? Here is my list. Frequent; I must get something monthly at least. It doesn’t put me off. It probably helps me buy more. Offers; I get an incentive with every catalogue. I’m sure every single other customer does too. But I feel special. Customer service; It’s good. Real people answer emails and take action. Refer to the scarf story above. New; the catalogues always have some new lines. Topical; The Royal wedding edition catalogue contained make your own cut-out bunting and Royal wedding bingo game. Other catalogues refer to recent events or seasons. So, whether you are in the market for a brightly coloured rain mac or not; don’t just take my word for it, Test the Boden theory, or another company that makes you feel special. Ask yourself what is it that they do. Then try to recreate that special feeling for your donors. More from the catalogue below. This entry was posted in Boden, creativity, customer service, Enchantment, fundraising, ideas, Innovation, Inspiration, Johnnie Boden, relationships and tagged ashamed, attrition, boden, business, charity, communication, complaints, customer service, direct marketing, donor, friends, fundraising, jealous, learning, mini boden, over 30, patterns, personal, rain mac, retail, scarf, segment, special, volunteer. Bookmark the permalink.